Palouse village, known to the local tribes as Naha'u'umpu'u, or "People of the River," was one of the oldest sites of the Palus (or Palouse) Indians of the Pacific Northwest. It is located at the confluence of the Snake River and Palouse Falls and held great spiritual importance. One of the most famous legends describes the formation of the big round rock on the west side of the Palouse River. According to the Palus, this rock is Beaver’s heart who was chased by five giants for his oil. 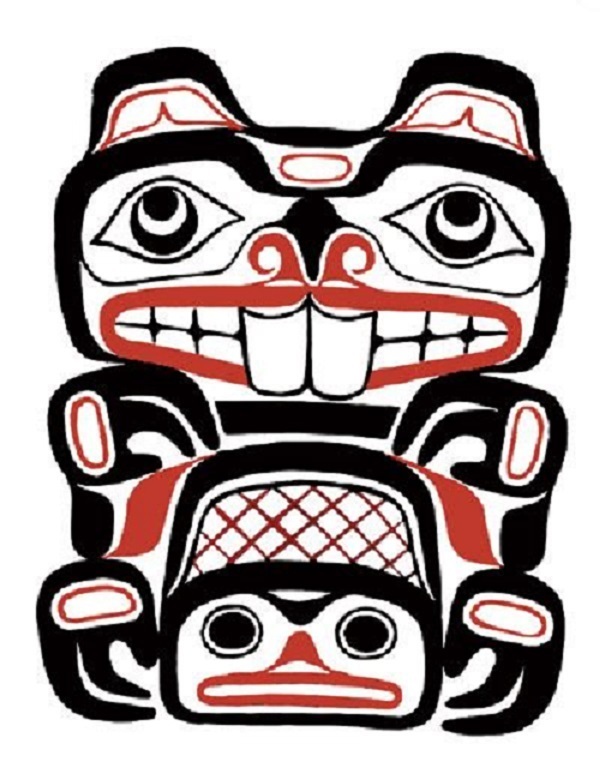 After several attempts to spear him, Beaver raced down the river but was forced to return to the mouth of the river by Coyote where the giants killed him and left his heart at the river’s mouth. The Palus Indians were caught up in the Indian wars in the late nineteenth century and mistaken for another tribe, both the Palus and the Nez Perce Indians were removed from Washington and Idaho and sent to Oklahoma to the Indian Territory. They were unable to return to their home and their ancestors until 1885. 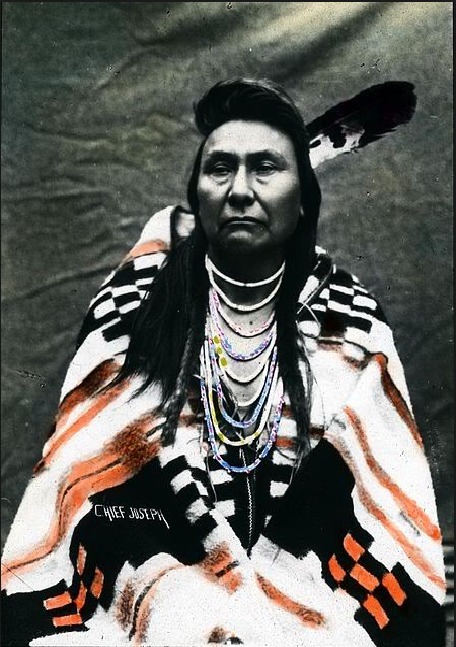 The return to their ancestral homes in Idaho and along the Palouse was in great part due to the continuous efforts of Chief Joseph, Yellow Bull, Yellow Bear, and Husishusis Kate (a spiritual leader). Today the village is gone, but the site is still a site of spiritual worship and salmon for tribes in the area. The Lyons Ferry Fish Hatchery was built in 1982 by the Army Corps of Engineers at the confluence of the Tucannon River and Snake River. Its goal was to mitigate dam-related losses of steelhead and Chinook salmon. Joanne Percy, “Palouse Village,” Ice Age Floods Explorer, accessed April 21, 2019, http://floodexplorer.org/items/show/32. 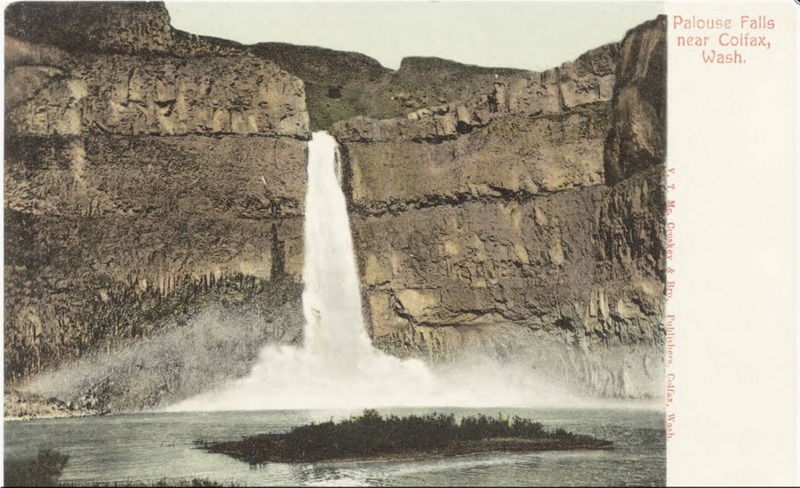 Robert M. Lambeth, “Palouse Falls,” Spokane Historical, accessed June 5, 2015, http://spokanehistorical.org/items/show/428. Trafzer, Clifford E. "The Palouse in Eekish Pah." American Indian Quarterly 9, no. 2 (Spring, 1985): 169-182. http://www.jstor.org/stable/1184576.